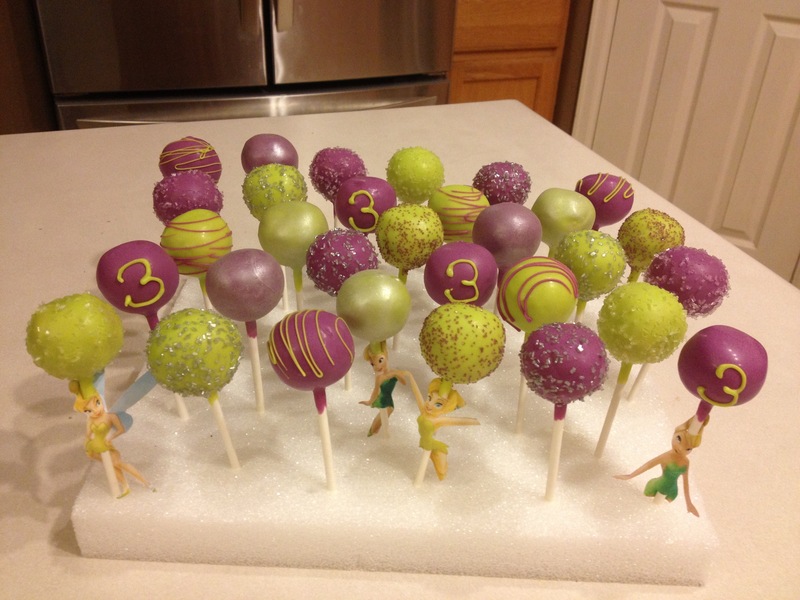 This week, I had a simple cake pop order and I wanted to try out something new. 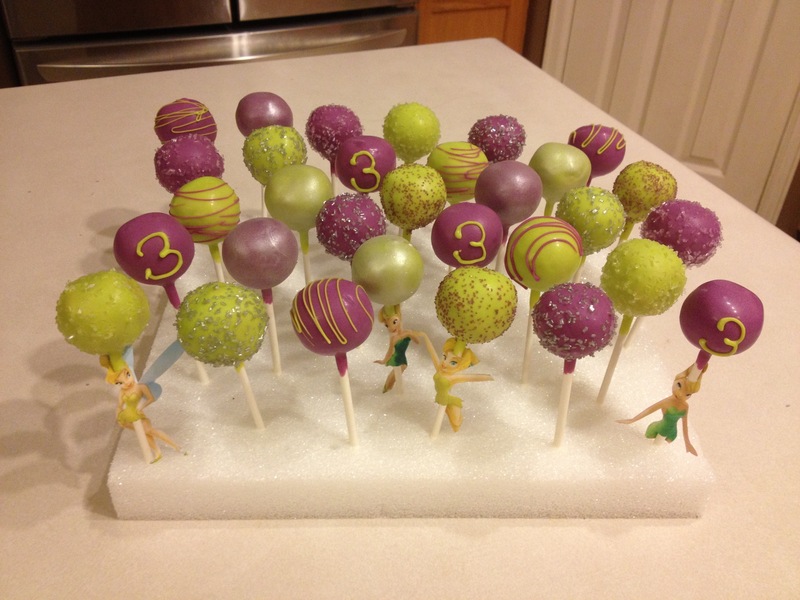 My customer wanted purple and lime green cake pops for her daughters 3rd birthday! 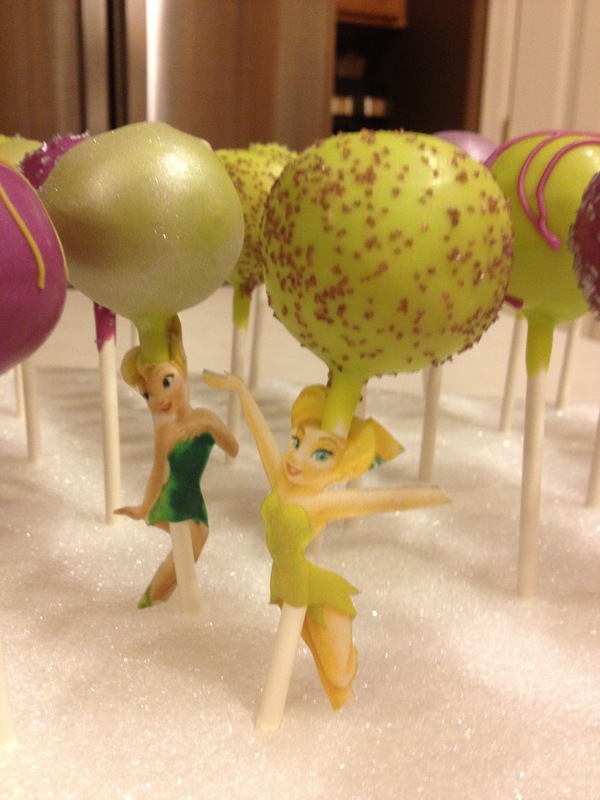 The party theme was Tinkerbell, so I wanted to incorporate that some how. 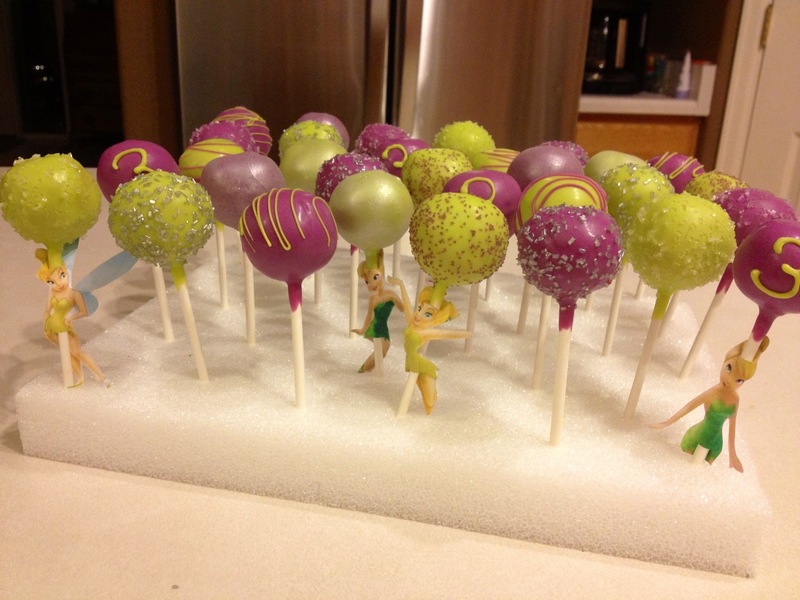 I knew I’d use edible glitter to look like fairy dust and just the usual sprinkles and drizzling. Then I thought about what I could do to the sticks. 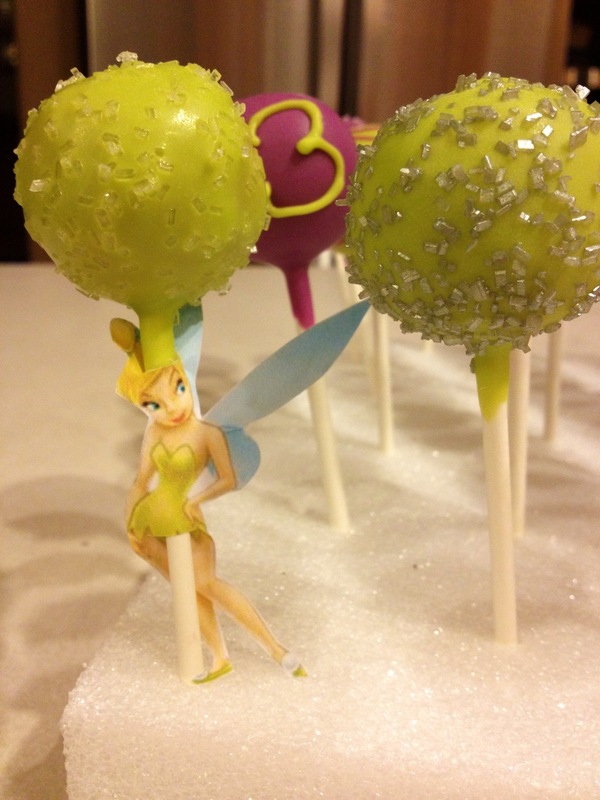 I printed out a few pictures of Tinkerbell (just went to google images and sized them to fit a cake pop stick) cut them out and cut two slits (one on top and bottom) for them to slide on the stick. 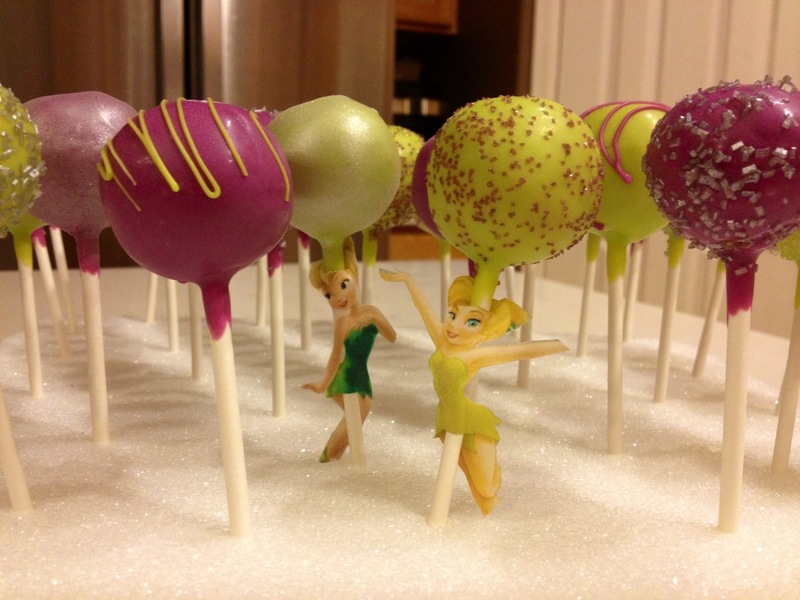 That way they are easily removed to make eating the cake pop easier! Also, Check out the previous Weeks!